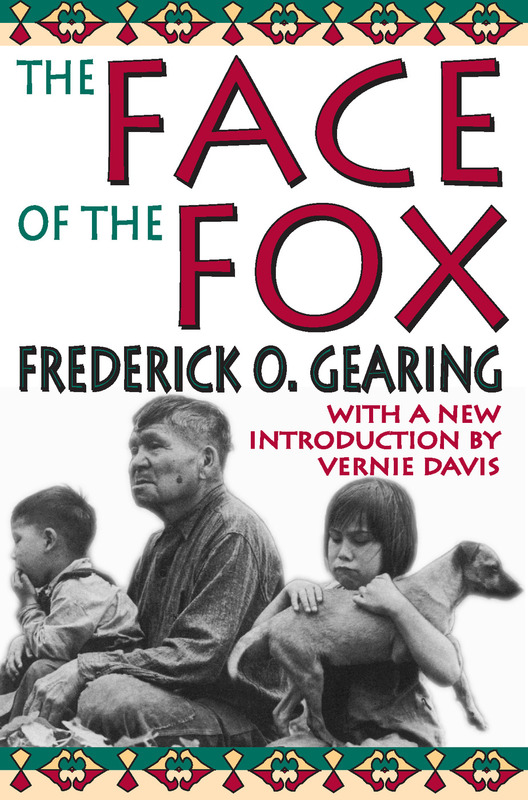 In The Face of the Fox, an anthropological and sociological study of the Fox American Indians (the Mesquakie, their actual tribal name) who live just outside Tama, Iowa, Frederick Gearing puts a face on the peoples of this tribe. In doing so, Gearing particularly deals with the estrangement of the Fox Indians and the Westerners surrounding them. He defines the concept of estrangement as including feelings of contempt, indifference, and pity often leading to misplaced hurt and hate on both sides. Specifically, he states that when one is estranged, he is unable to relate because he cannot see enough to relate to, which is a type of social disconnect. Estrangement shackles both parties, leaving them unable to connect with one another.Finding this is more of a cognitive mental processing problem, Gearing proposes gaining control of the mind, believing the opposite of being estranged is to find a people believable and real. The way to do this is to educate each estranged group about the other and put a face on each group. Educating Westerners about the Fox people they live next to, Gearing describes their community, their social structure, their culture, their language and some of its many meanings, and their view of themselves and how they view their future.Attempting to end estrangement and engender endearment and understanding, The Face of the Fox will be of interest to anthropologists and sociologists focusing on the American Indian.